I grew up surrounded by colour: the paint on my mum’s canvases, the sequins on my ballet costumes, the threads of my embroideries. Still more memorable are the colours of nature woven through my childhood: the fierce burnt country of Western Queensland, the blinding turquoise of the Australian Pacific coastline, the riot of bold primaries on the streets of India, the peaceful, hazy pastels of European summers. 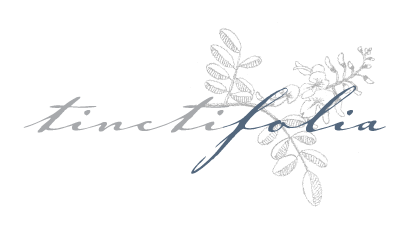 I am a gardener, a cook, a scientist and a textile creative. Natural dyes are grown and harvested. Recipes are carefully prepared. Methods and combinations are tested and adjusted. The alchemy of botanical colour fulfills so many facets of my own passions. Silk, that ancient and most luxurious of fibres, enhances the depths and lustre of botanical colours like nothing else. Silk ribbon, infused with layers of multi-faceted colour, has a drape and sensuousness that is irresistible. Before the discovery of synthetic dyes (almost all of which are petroleum derivatives) natural plant, insect and mineral dyes provided a rich tapestry of vibrant textile colour. Ancient recipes were passed down within artisan families and guarded fiercely. Particularly rare or difficult colours gained the reputation of legend: turkish red carried by caravan across the silk road, murex purple coveted by royalty and emperors as far back as ancient Egypt. Most natural dyes are derived from plant materials – berries, roots, leaves, flowers or bark. Unlike single chemical compounds synthesised in a laboratory, natural dyes contain complex groups of pigments which combine to produce colours with a depth and nuance no synthetic can replicate. Natural dyes are truly living colours, shifting in the light and revealing undercurrents of other hues that make each and every piece completely unique. Natural colours work perfectly in harmony with each other, never clashing or glaring even in brilliant vibrancy. 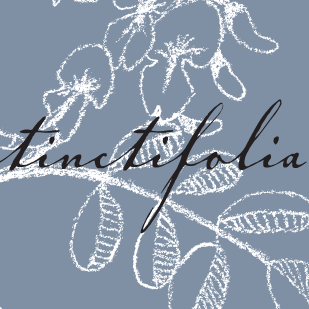 Tinctifolia brings you snippets of liquid silk, in luscious colours straight from nature.